They can look classy and vintage, or modern and eccentric. But no matter what their shape, size, or style is, mirrors are functional and reliable accents that can dramatically change the overall look of any room. If you’re planning to spice up the interior of your home, you might want to add some dash of extra flavor by placing unique mirrors or decorative mirrors in strategic areas. Before anything else, it’s best to be equipped with some tips on how to cleverly use mirrors in elevating interior designs. If you want to create an airy ambiance to your rather small interior, designers typically recommend the use of mirrors. Whether they’re antique mirrors or window frame mirrors, they can do the trick to make your room appear more spacious. Make sure to put a mirror on your largest wall to achieve the best result. Did you know that you can illuminate the dark corners of your place by maximizing the use of your mirrors? Instead of placing it far from a window, you can either put a mirror adjacent or opposite to it to double up your light sources. You can also jazz up dull areas by placing a mirror behind a lamp. Mirrors are more than just glasses that help you check out your outfit, or how your face looks like -- they can also serve as an interesting focal point of any room. If you want to dictate the center of your room, simply adding unique mirrors or decorative mirrors can do the trick. If you’re a person who basks in the sheer delight of having symmetry around, then mirrors can be your best friend. Using them in pairs can effectively create that much-needed sense of balance and harmony. If you’re more of the experimental, outgoing type, mirrors can also be a trusty ally. Grouping unique mirrors and decorative mirrors in one wall can help you channel out the affable personality of yours. 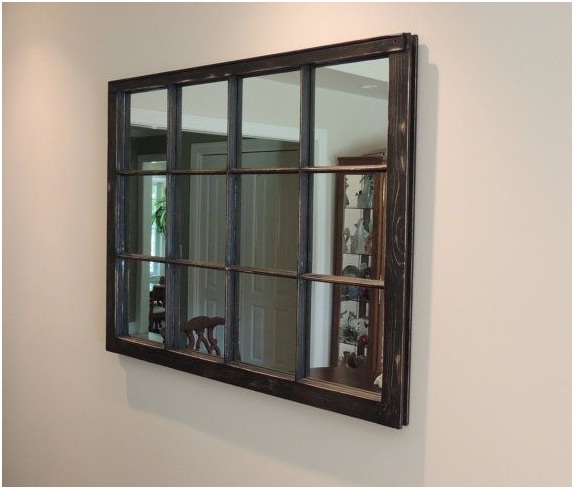 As mentioned in the previous items, mirrors are a creative way to personalize your space. If you’re more of a classy individual, then go for elegant and antique mirrors. If you’re a quirky one, mirrors whose shape and design scream eccentricity are perfect for you. Practical people are now resorting to mirrored furniture and appliances. Doing so will reduce expenses as they can now invest in things that function as a furniture (e.g. Cabinets), and give benefits that mirrors can offer (e.g. Doubling up space, light sources). Though most people put mirrors inside their homes, these things can be brought outdoors, too! They are a great tool to jazz up patios and terraces. No doubt, mirrors are multi-taskers. Whether they are window frame mirrors or plain-looking ones -- one thing remains true: they are fragile. When using mirrors in interior design, being cautious is something that shouldn’t be ignored. If you are looking for unique mirrors, antique mirrors, decorative mirrors, or window frame mirrors, we got you covered at Aldgate Home. Contact us today for more info!